nothing for their assistance. 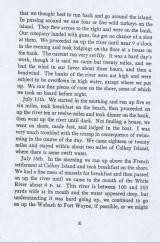 We took in our goods and proceeded up the cutoff through a gentle current until we came to the main river, though it was full of legs, trees, etc. 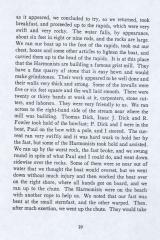 Then we went up three-quarters of a mile to the landing, opposite the town of Harmony, where we arrived all fa- tigued about I P. M. We landed and took dinner, went up to town and obtained some fresh supplies of provisions. 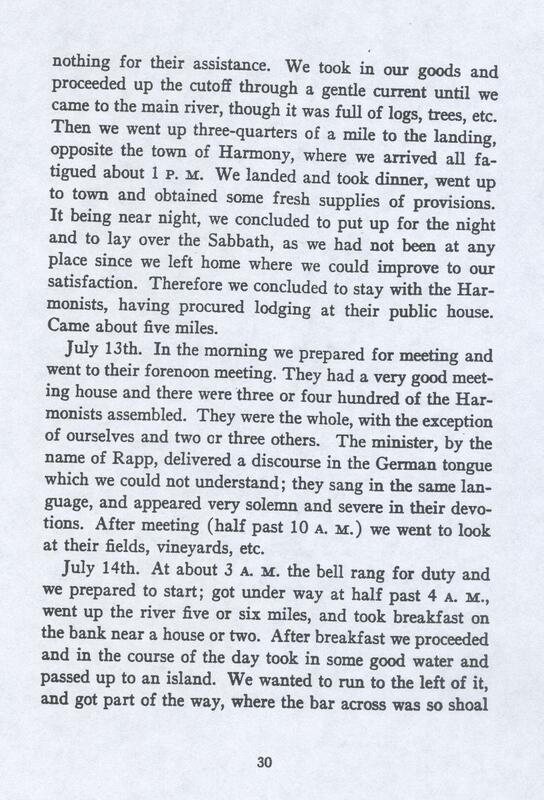 It being near night, we concluded to put up for the night and to lay over the Sabbath, as we had not been at any place since we left home where we could improve to our satisfaction. Therefore we concluded to stay with the Har- monists, having procured lodging at their public house. Came about five miles. July 13th. In the moming we prepared for meeting and went to their forenoon meeting. They had a very good meet- ing house and there were three or four hundred of the Har- monists assembled. They were the whole, with the exception of ourselves and two or three others. The minister, by the name of Rapp, delivered a discourse in the German tongue which we could not understand; they sang in the same lan- guage, and appeared very solemn and severe in their devo- tions. After meeting (half past 10 A. M.) we went to look at their nelds, vineyards, etc.